Special branch officers harassed an Indonesian comedian who was supposed to perform at a #YellowMania tonight, claims event organiser Bersih. Its chairperson Maria Chin Abdullah told Malaysiakini that the stand-up comic, Newendi, was about to leave the Kuala Lumpur Chinese Assembly Hall at about 9.30pm when he was approached by Special Branch officers from Bukit Aman and Dang Wangi. “Twenty to 30 special branch officers stopped him and took down his details. Now he has gone back to Indonesia; (but) he was not deported. Police had reportedly said that the comedian needed a special permit from City Hall to perform. Maria, however, said that Newendi did not go on stage, as Bersih had feared for his safety. 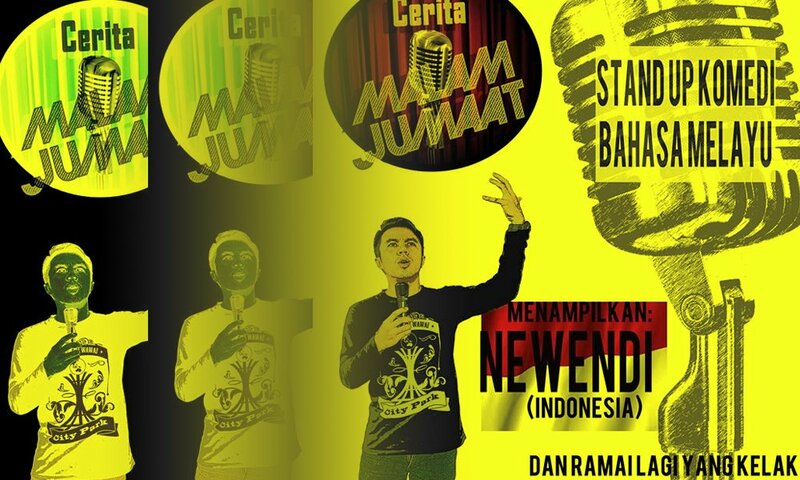 The Indonesian was part of a group of comedians slated to perform a stand-up comedy show tonight at Bersih’s #YellowMania event. Maria said the police disturbance is part of ongoing harassment against the electoral reform movement’s public awareness tagged #YellowMania. “This is part of the harassment that we have been facing ever since we announced Yellow Mania. “They (the police) can’t get to us since we are doing this in a private space so they harass our guests,” Maria said when contacted. Di mana anda malam ni? 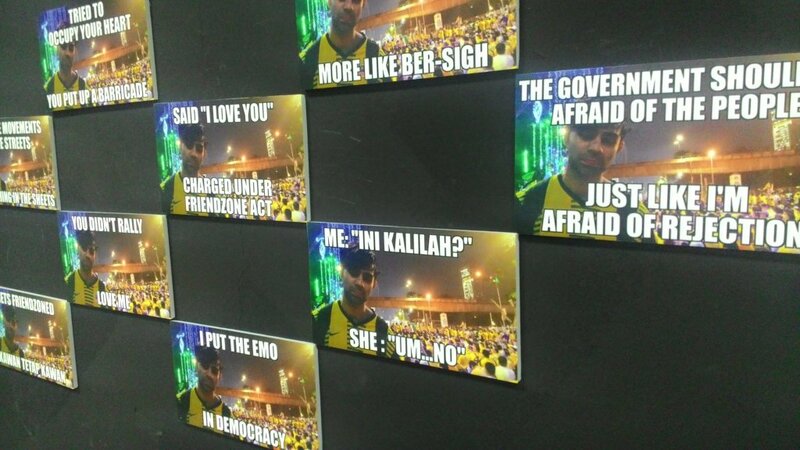 Tak datang berhuhuhu dengan kami di #YellowMania? 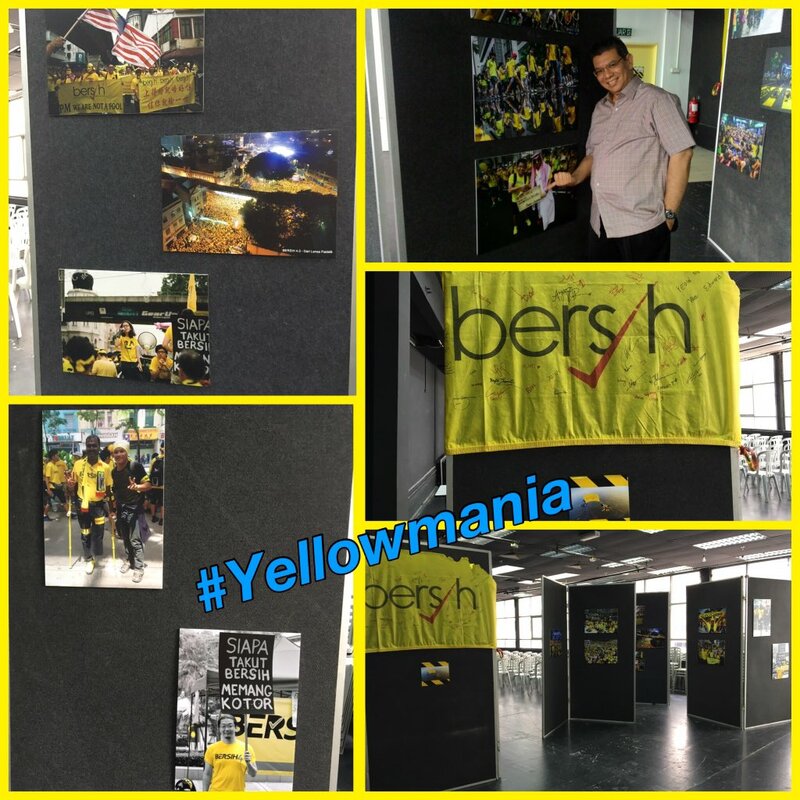 Electoral reforms group Bersih 2.0 today kickstarted the five-day Yellow Mania festival to raise awareness on democratic reforms and reach out to “silent” supporters. The group’s secretariat manager Mandeep Singh said the festival, held at the Kuala Lumpur Selangor Chinese Assembly Hall (KLSCAH), was “not so much a gathering”. Despite yesterday’s deportation of Indonesian activist Mugiyanto, the event proceeded smoothly without any intervention. 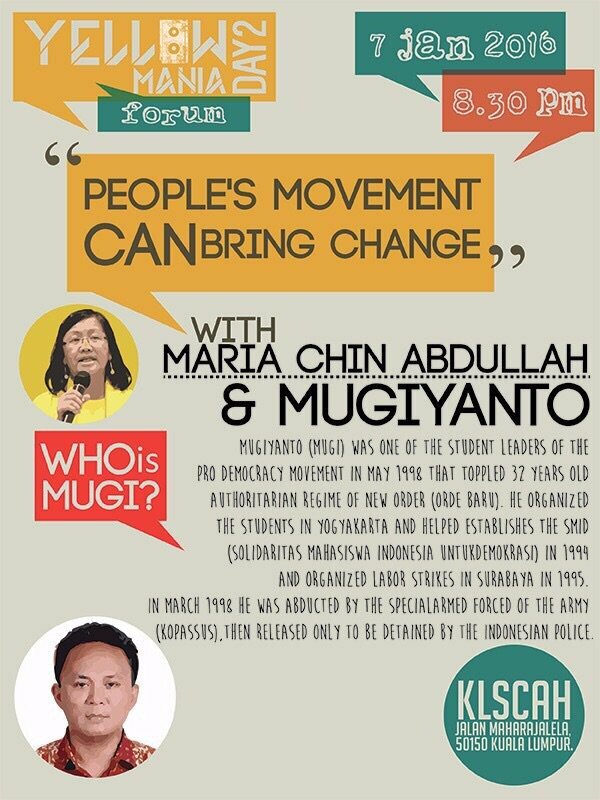 Mugiyanto, who was an activist during Indonesia’s 1997 reformasi, had been involved in organising student protests which eventually led to the fall of then-president Suharto’s authoritarian regime. “We are practicing creative activism, reaching out to people in various ways,” Mandeep said. 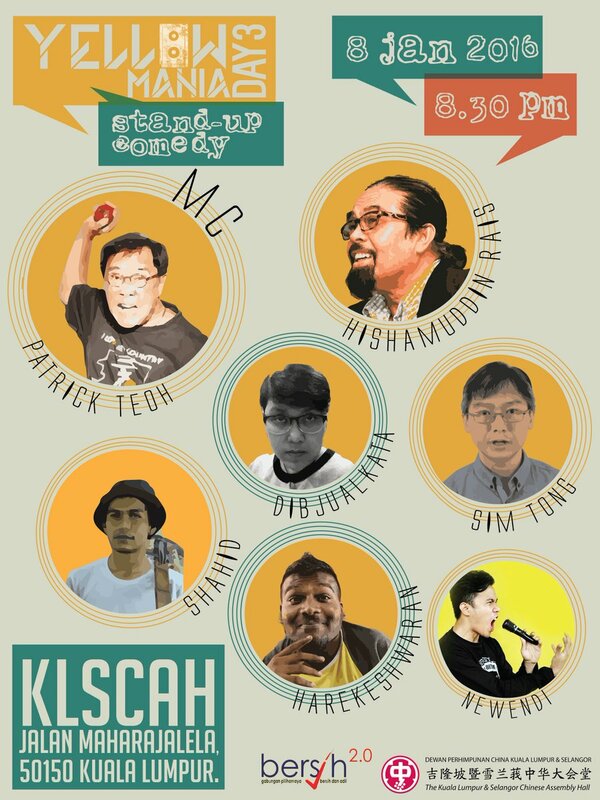 Tonight’s line-up will see a stand-up comedy session, emceed by actor and former radio deejay Patrick Teoh. Other activities over the weekend include a children’s colouring contest, “Yello-O” sound gig, a movie screening of Luc Besson’s 2011 film “The Lady”, Bersih Boot Camp and an auction of the photography exhibition of Bersih 4. 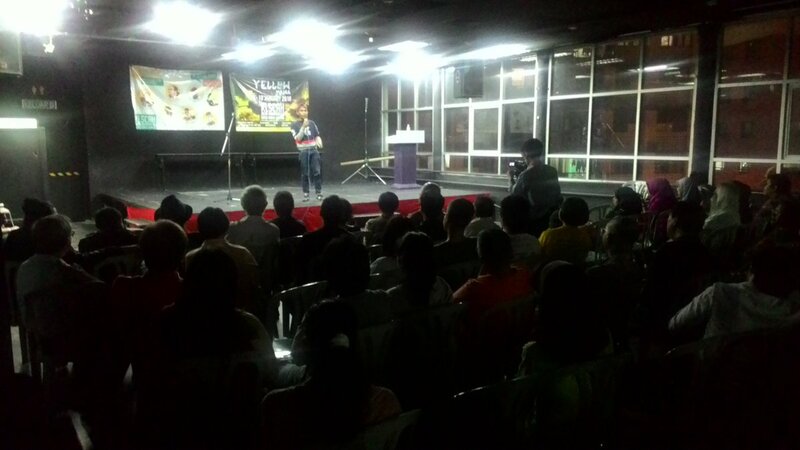 Selain siri forum, #YellowMania juga ada stand up comic, gig, pameran foto, tayangan filem, dll. Do come! PETALING JAYA: Bersih 2.0 is not required to notify the police for organising the five-day Yellow Mania festival as it will be held in an enclosed area, said Dang Wangi district police chief Asst Comm Zainol Samah. “Since the festival will be held in the Kuala Lumpur Selangor Chinese Assembly Hall then there is no need to provide notice to the police chief under the Peaceful Assembly Act (PAA) 2012,” said ACP Zainol on Saturday. “However, it is advised that the organiser inform the police so that the police are able to help in traffic control and safety related matters,” he said in a statement. ACP Zainol said the statement applies to police procedures and not those of other agencies. Electoral reform group Bersih 2.0 today questioned the need for a permit to hold its Yellow Mania festival as the event will be held in a private space. Bersih 2.0 secretariat manager Mandeep Singh took issue with comments by Federal Territories Minister Datuk Seri Tengku Adnan Tengku Mansor who was reported saying that a permit was required. “What permit? Takkan peraduan mewarna, program kanak-kanak pun nak kena ada permit (Do we have to have permit for colouring contest, children programmes),” Mandeep said when contacted. He added that a colouring contest and other activities for children will be among the programmes at the five day festival to be held at the Kuala Lumpur Selangor Chinese Assembly Hall from January 6 to 10. “The festival will be held in an enclosed space, on a private property belonging to the Kuala Lumpur Selangor Chinese Assembly Hall. 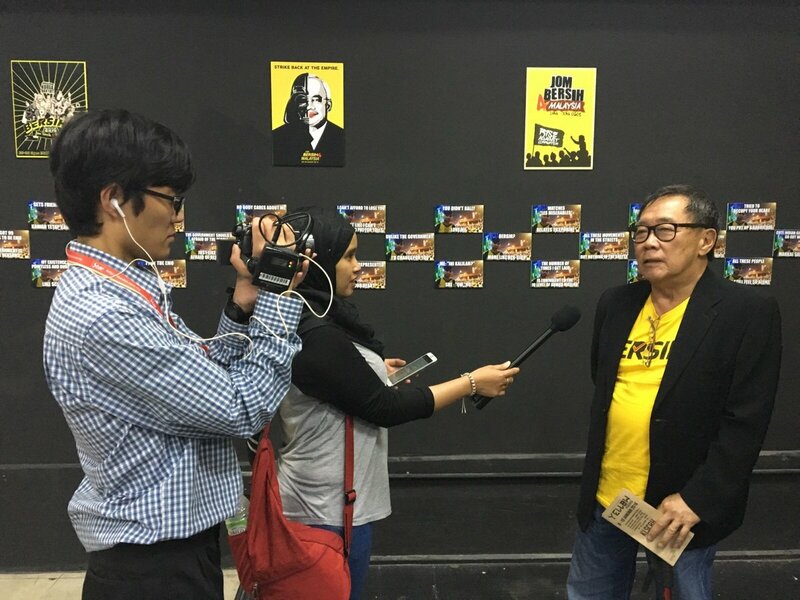 “What permit are we talking about as we are not going to march or gather at public places,” said Mandeep when contacted by The Malaysian Insider for a response to Tengku Adnan’s remarks this morning that Bersih 2.0 needed a permit to hold the festival. The Star Online reported Tengku Adnan as saying that organisers would need to apply for a permit unless the event was held in an enclosed space. “If it is an enclosed space, we will allow it. We do not want them to hold it in an open area,” he was quoted as saying by the news portal. Tengku Adnan also questioned the objective of the event and called on Malaysians to stand together. Mandeep said such remarks showed Putrajaya’s “paranoia” when it involved events organised by the electoral reform group. “What are they trying to imply? Why need to be afraid of Bersih,” he said. 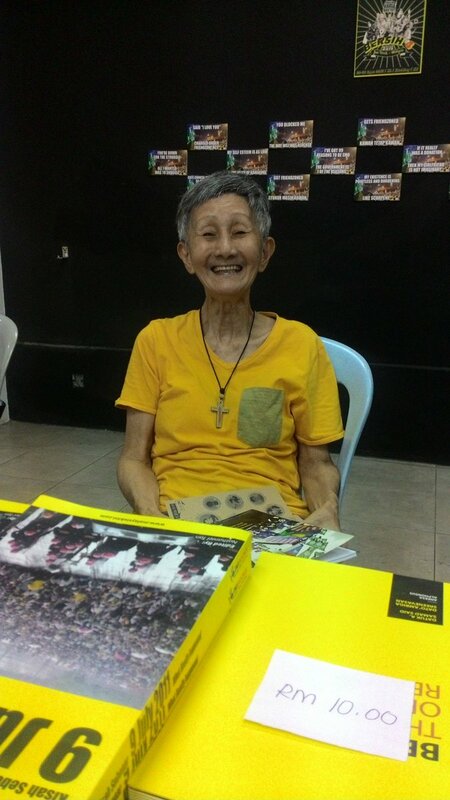 Other activities at the festival include a film screening of The Lady, a movie about Burmese democracy activist Aung San Suu Kyi, and a photo exhibition of the Bersih 4 protest held on August 29 and 30 last year. The Yellow Mania festival will also feature a stand-up comedy session by actor and former radio deejay Patrick Teoh and poetry readings. There will also be forums and discussions on issues such as the campaign to oppose the National Security Council Bill. Nur Jazlan tells Bersih 2.0 to act in accordance with the Peaceful Assembly Act 2012 as the carnival may affect others who live in the vicinity of the venue. PETALING JAYA: Deputy Home Minister Nur Jazlan Mohamed has instructed electoral reform coalition Bersih 2.0 to refer to the police regarding their planned “Yellow Mania” festival from January 6 to 10 next year. He said this in response to a statement by the group’s secretariat manager Mandeep Singh that the carnival was an indoor affair on private property and that a permit from the authorities was therefore not required. “It is still an assembly. You are inviting a lot of people. You can’t possibly fit everyone in that building. So in the end, most people will still end up on the street. “Follow the (Peaceful Assembly) Act (2012), which states that if there are more than the number of people as stipulated in the Act, you must notify the authorities. 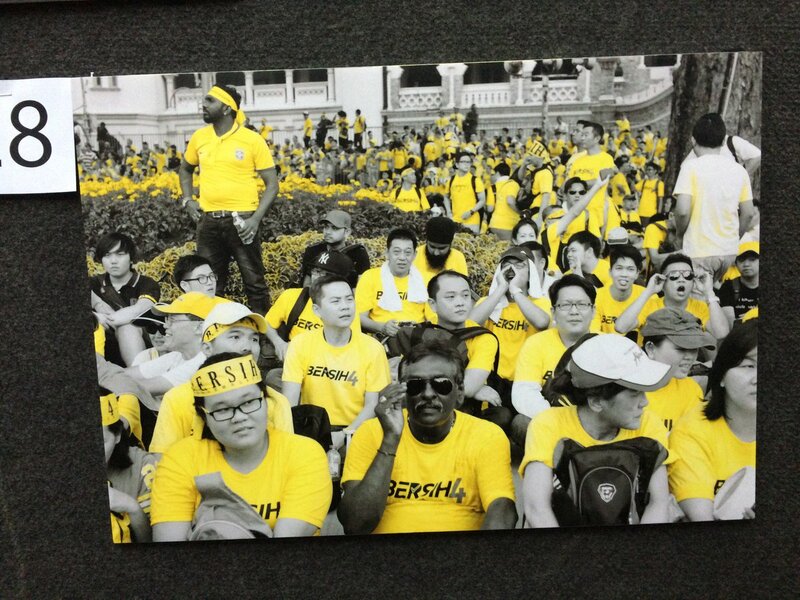 “Don’t be too arrogant and check with the police on this,” Nur Jazlan warned Bersih 2.0 when contacted by FMT. In a news report by English daily the New Straits Times (NST) today, Nur Jazlan reminded the polls reform group to formally notify the authorities of the event. The Pulai MP said festival organisers would not encounter any trouble from the authorities as long as the event had no political undertones. Mandeep however stressed that many had held forums and photography exhibitions in the past but none were required to obtain permits from the authorities. “It may affect others who live around there. There are houses, people who park their cars there and there are also schools. “Such a gathering may affect (their daily routine) so just refer to the police,” Nur Jazlan advised. Electoral reforms coalition Bersih 2.0 is planning to kickstart the new year with a five-day Yellow Fever festival to raise awareness on democratic reforms and to reach out to “silent” supporters. 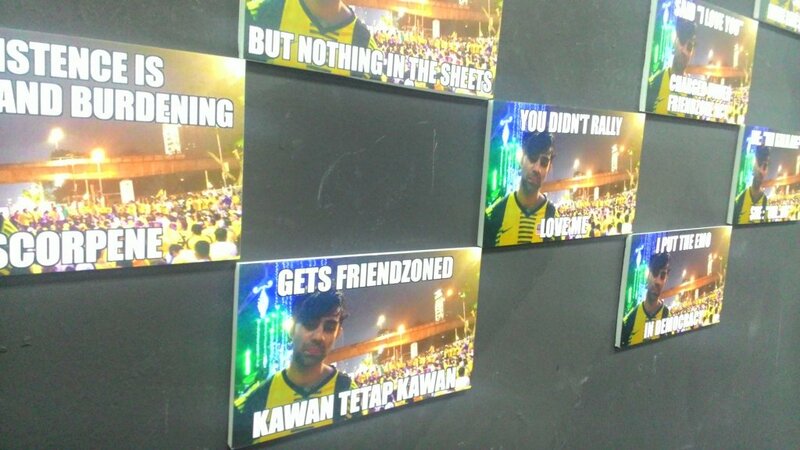 The group’s secretariat manager Mandeep Singh said “relaxing and fun-filled” activities were planned alongside photography exhibitions of the Bersih 4 rally in August. “It is meant to be an educational eye-opener and a leisurely experience at the same time. “It is also to appeal to those with interest in creative activism,” Mandeep said. 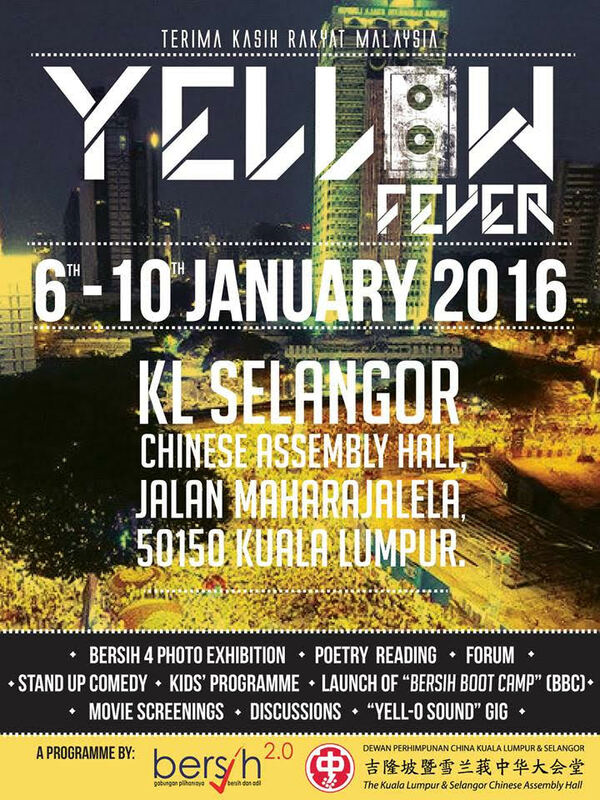 This entry was posted in Uncategorized and tagged Bersih, bersih yellow fever, yellow fever festival. Bookmark the permalink. Why hold this event in the Chinese Assembly Hall? Currently the preception towards Bersih, is already race base. If hold this event in C.A.H. it will only create or give more reasons that Bersih is mainly done by the Chinese. Please think carefully, and do not create racial tension again.